Providing the "Triple Cities" of Broome County with histories and objects that go beyond impressive footwear production. 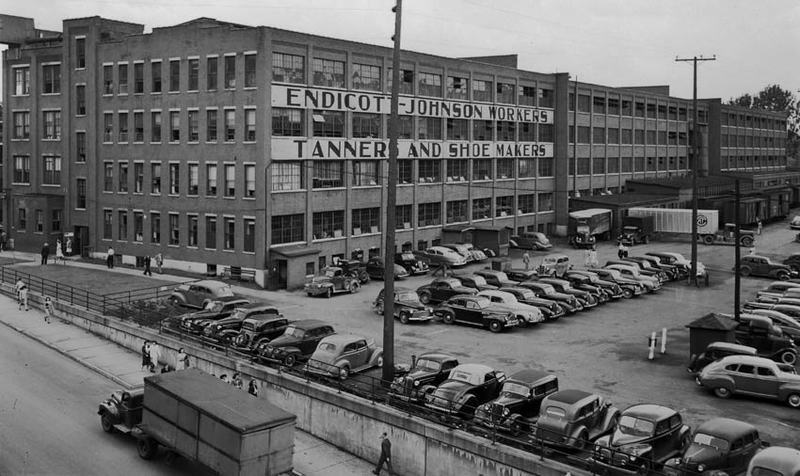 The Endicott-Johnson Shoe Company was widely regarded as one of the largest of its era. 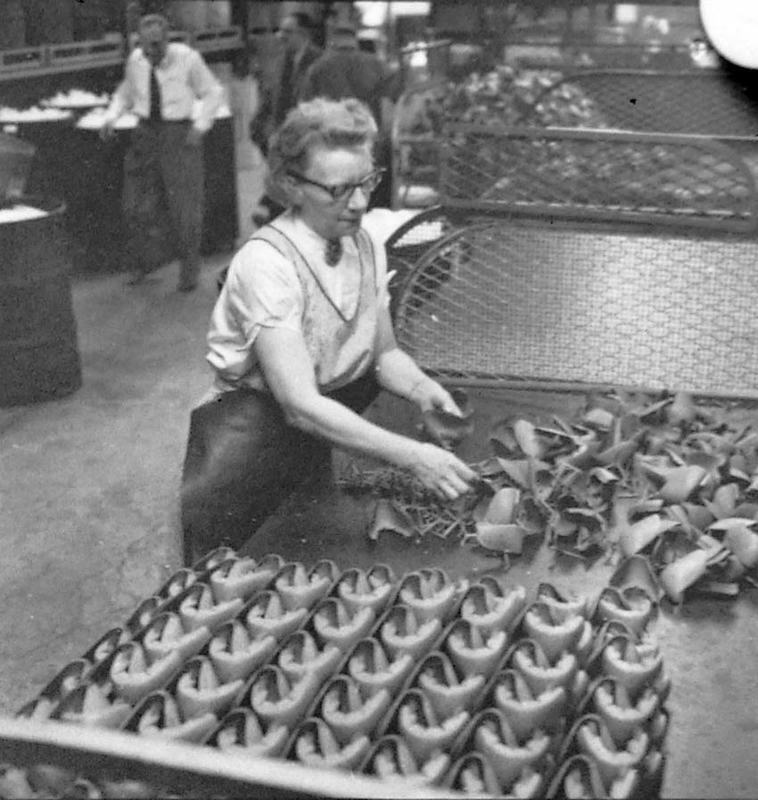 With thousands of workers producing millions of shoes a year, Endicott-Johnson was one of the premier United States shoe manufactures throughout the early to mid 20th century. 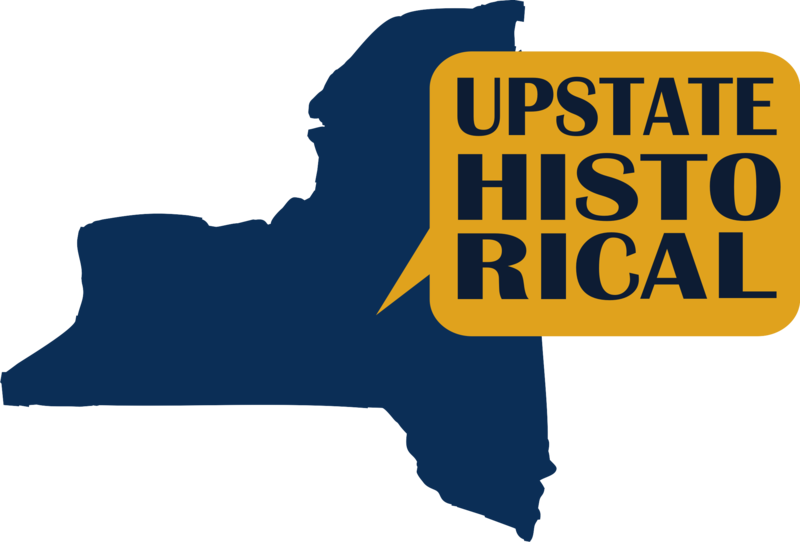 Its legacy is tied directly to, New York's "Triple Cities": Binghamton, Endicott, and Johnson City. 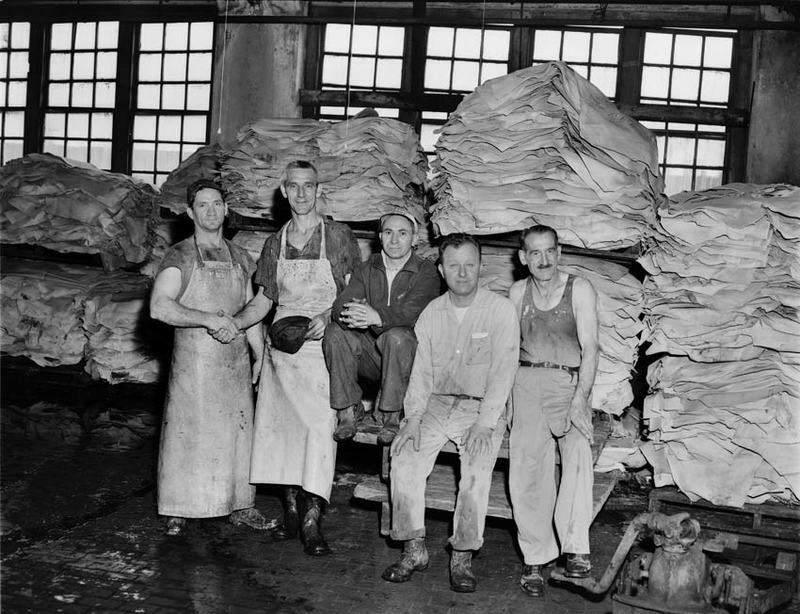 In 1891, the Lester Brothers' Boot and Shoe Company came to the realization that their factory works in Binghamton and the surrounding areas needed financial reorganization. Harry Lester’s once prosperous company was greatly affected by the depression of 1893. In response, Henry B. Endicott, an important stock holder of the company took financial control of the factory works in 1892. George F. Johnson, an assistant superintendent of the factory became Endicott’s partner in this transition and the company’s new title (Endicott Johnson Company in 1902 and then Endicott, Johnson and Company in 1907) would soon see rapid growth and prosperity. A believer in welfare capitalism, George F. Johnson was a vocal supporter of a "Square Deal" for his workers. The entrances to Johnson City and Endicott have iconic archways with the engraving "Home of the Square deal". Johnson was an avid supporter of his employees' living conditions outside of the workplace. His vision and support of workers can be seen in many buildings that stand today. 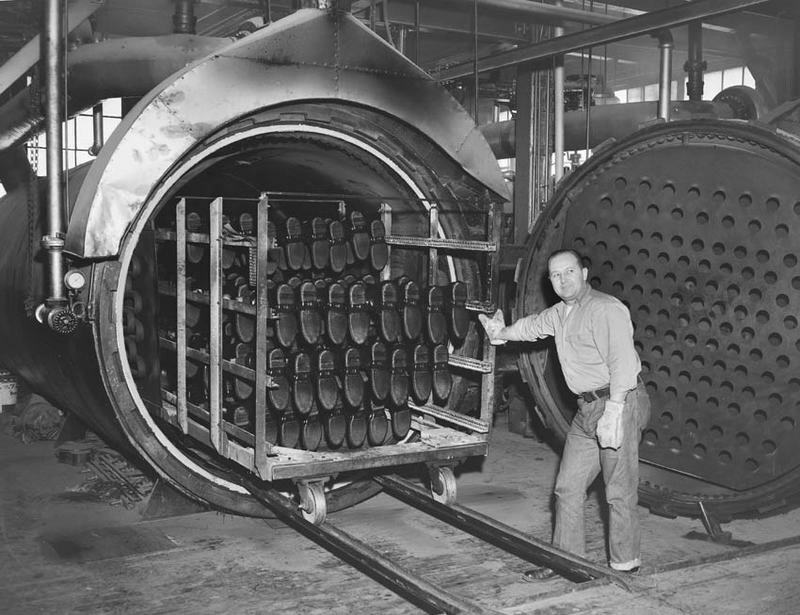 Endicott-Johnson is noted for its unique and mostly respectful relationship between employer and employees, during a time when labor strife was widespread. Johnson was seen as a paternal figure of his workers and led a never ending public works project to better workers lives outside of the workplace. The company built a massive amount of employee housing. By the end of the 1950's over four thousand housing structures were created. 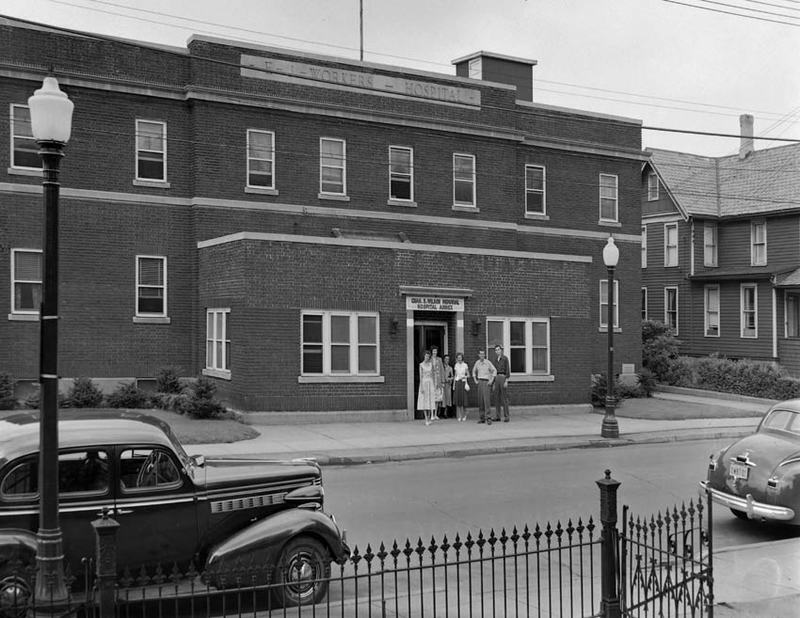 Endicott-Johnson also built a hospital and provided a medical plan that was used by many employees and their families. Structures like firehouses and a library were also built during the Endicott Johnson partnership. Recreation areas were also a fixture of the "Square Deal" as workers could enjoy public pools, parks, and baseball fields. Gerald B Zahavi illustrates how Johnson loved his employees like they were his family, and the company's practices were regarded as exemplary by many historians and journalists of the time. Zahavi also points out labor strife was inevitable, especially during harder times such as the Great Depression, but Johnson continued to create public spaces for his employees to use until his death in 1948. The factory fell into decline in the late 60's. Many public spaces from company are still standing today. Endicott Johnson built thousands of company housing units up to the 1950's, and many of them are still standing in Binghamton. Many of the factory district buildings can be seen from West Endicott Park. 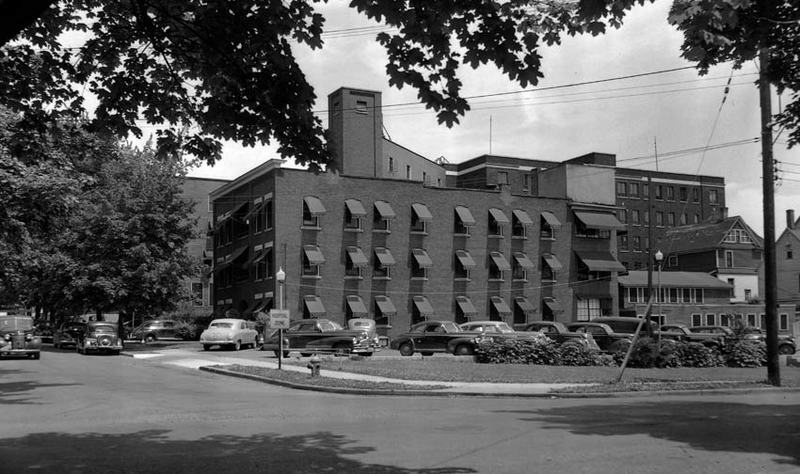 The company has many areas listed in the National Registry of Historic Places in Broome County including the "Home of the Square Deal" archways that provide visitors with an opening introduction of Johnson's views of society and industry working hand in hand. 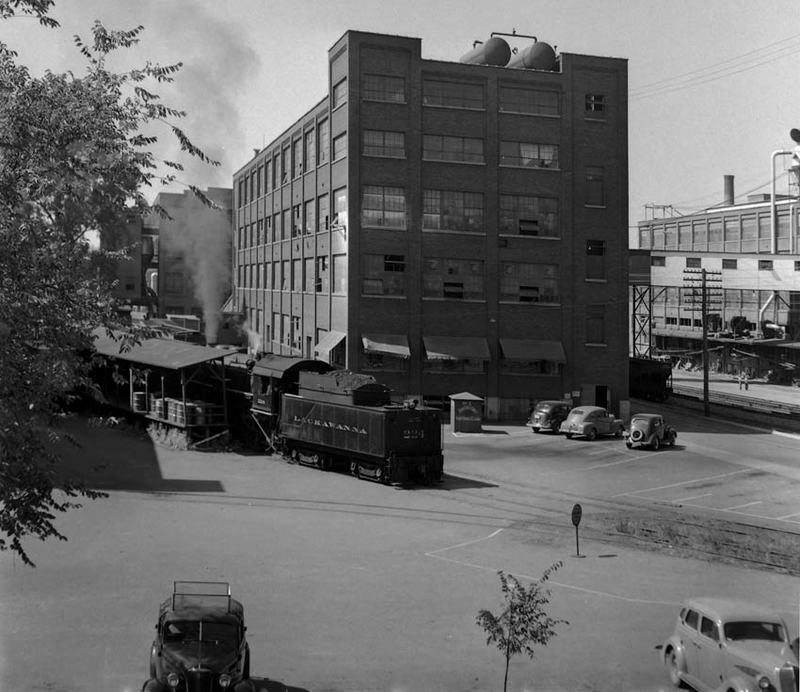 Johnson City Square Deal Arch- Main St. W of Floral Ave.
During the 1940's wartime production peaked for the company and Endicott-Johnson employed over twenty thousand workers. 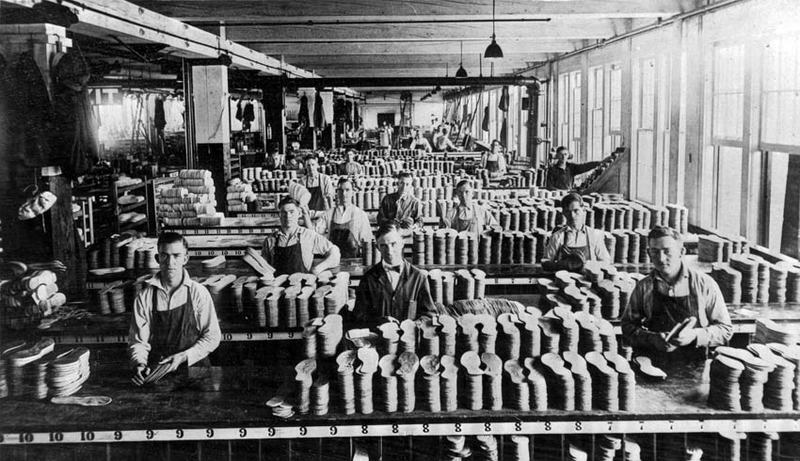 Tyler Johnson, “The Public Works of the Endicott-Johnson Shoe Company,” UpstateHistorical, accessed April 18, 2019, http://upstatehistorical.org/items/show/66.